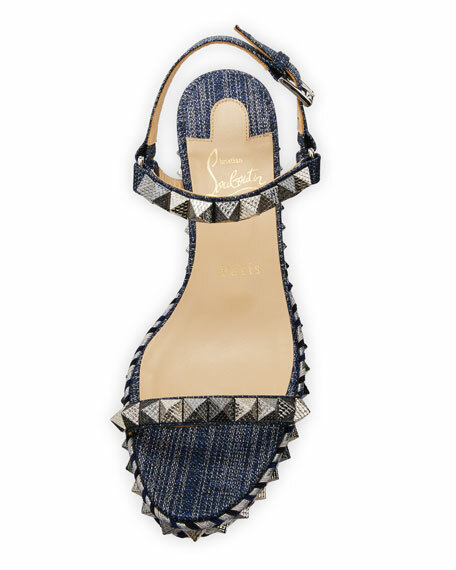 Christian Louboutin denim sandal with multicolor exotic-embossed spike studs. 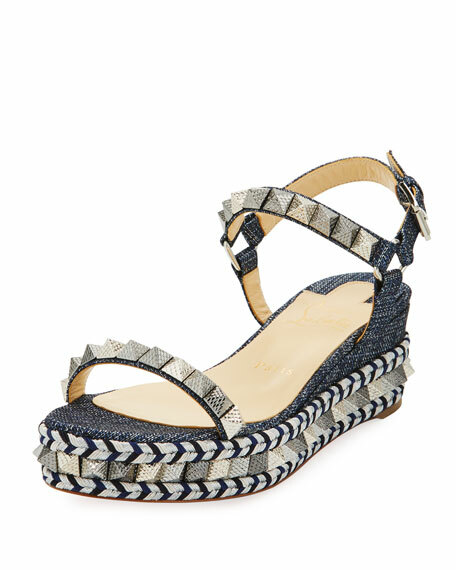 2.4" covered wedge heel with multicolor braided and spiked platform. "Pyraclou" is made in Italy. 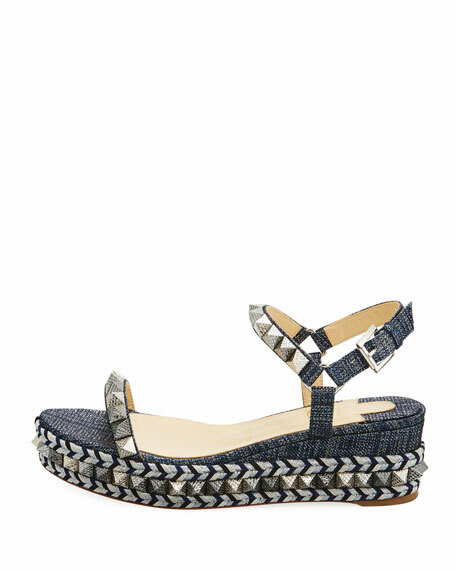 For in-store inquiries, use sku #2365970.